All content created for the Web should follow a simple rule of thumb: It should be easily accessible when someone looks for it online. This rule applies to press releases as well, which are increasingly being distributed and made available online through services such as PRWeb, PR Newswire, BusinessWire and other sites. In general, content is made more accessible for the Web by ensuring that it is optimized using Search Engine Optimization (SEO) techniques. Having worked at a few PR agencies, I have been surprised by how little thought was given to optimizing press releases for the Web. Don’t get me wrong — NOTHING trumps good writing and good content and yes, traditionally the sole objective of press releases has been to distribute them to the media and to generate coverage. But in the online world, where all your audiences converge and your brand interactions are transformed into a social experience, you might as well try and earn maximum visibility for your press or news release (as marketing/PR guru David M. Scott prefers to call them) over the Web and use them as an opportunity to reach your customers directly. For small businesses, news releases offer the additional advantage of strengthening their online presence, linking back to their websites and improving their search engine rankings. How Do You Optimize Press Releases For The Web? Keywords are the very heart of SEO. Before beginning to write your press release, determine the keywords you should be optimizing for. Keywords are select words or phrases that people enter in search engines when they are looking for solutions/products that your business or service can provide. If you already use Google Analytics for your website, then you should examine what keywords people use the most to reach your site. Think of all the words that best describe your company, industry, product or service. Once you compile a list of keywords, use tools such as Google AdWords’ Keywords (free) or Wordtracker (paid) to determine related keywords, how often the keyword is used and how competitive it is. To increase the chances of ranking high and being found easily, it is best to choose keywords that are not extremely competitive but still have sufficient, if not high, search volume. Once you have identified your main keywords, you need to incorporate them into different parts of your news release. The headline is the most important part of the release for adding keywords since search engines rank pages for search terms based, in part, on the headline or title of the page. Include your most important keyword in the headline. While the headline should include keywords, it should also be short (65 characters or less is the maximum length Google will display) and catchy enough for readers to want to click on it. Distribution sites such as PRWeb also ask you for a summary of the press release. Include the same or different keywords in the summary and the body of the press release as well. Depending on a user’s search terms, search engines often pick out parts of content that match that word or phrase and display the summary below the title for each search result, helping users get an idea of what may be most relevant to them. While including keywords is important, they should not be overused in your press release – this will affect the quality of your content and you could possibly be penalized by search engines. News releases intended for online distribution must include relevant links that point back to your website. 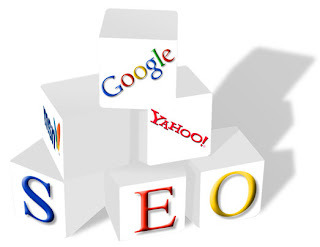 This will direct readers on where to look for more information and improve your website’s rankings in search engines. Relevance is important for creating links so a mention of a new product, for example, should point back to a page on your website that describes the new product. Include your website link in the boiler plate of the release as well. Sites such as PRWeb also allow you to include images and videos, which can make your release more Web friendly, draw more attention and make it more searchable by including relevant tags. Add social bookmarking and social media links to your release, allowing readers to share it easily over Facebook, Twitter, delicious and other social media sites. Besides online wires, post the release on your own website and post links to the release on your blog, Facebook page and organization’s Twitter profile, to draw more readers. c) Make it interesting and newsworthy. On a related note, see this PRWeb video on the benefits of writing and distributing press releases online. Do you have any tips for better writing and optimizing press releases for the Web? Please share them in the comments section below. Visit Prism Media to learn more about our public relations and search engine optimization services. @Frank Thanks for your comment. That's a great point. Search Engine Optimization is important but so are your target audiences. While SEO helps target audiences find your content, ultimately, it is relevance and good writing that will influence them. Thanks for sharing the link to your blog; I've add it to my Google Reader. I agree with Frank that the target audience are your readers and not search engines. Press releases should be short but concise to make it worth reading.